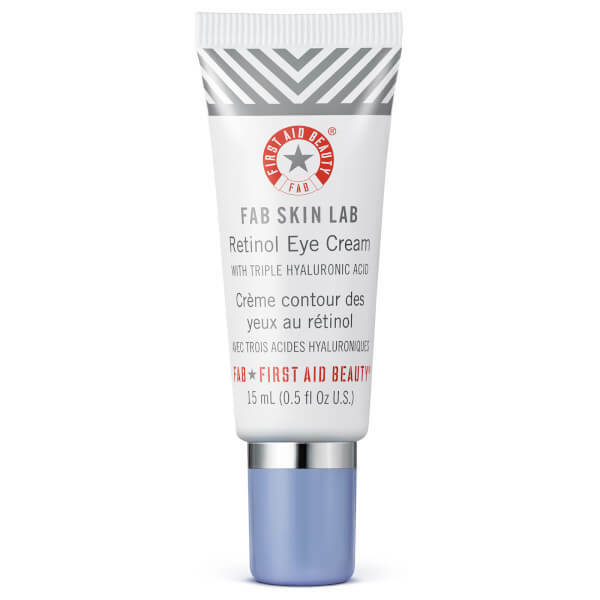 Enhance the sparkle in your eyes with the First Aid Beauty Skin Lab Retinol Eye Cream with Triple Hyaluronic Acid; a potent, yet gentle, rejuvenating eye cream that gets to work on minimising the appearance of fine lines and wrinkles to reveal youthful-looking results. Triggering skin’s natural regeneration and cellular turnover is anti-ageing powerhouse ingredient Retinol in microencapsulated form to achieve a slow-release to make it safe to use around the delicate eye area. Tri-molecular weight Hyaluronic Acid helps lock-in moisture, smooth and plump on multiple levels of skin while Caffeine helps reduce puffiness and Micro-Pearls help amplify skin’s natural radiance and immediately blur the look of imperfections. 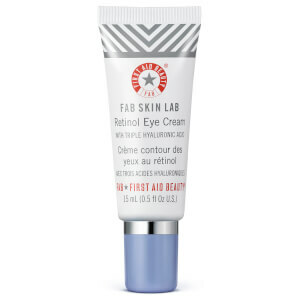 Luxurious and creamy, it unleashes FAB’s Skin Saver Complex whilst anti-ageing ingredients work to plump crow’s feet and blur the look of lines for eyes that radiate youthfulness. Suitable for all skin types, even sensitive. Allergy-tested.